I have been planning this post in my head for almost a year now, but never wrote. When the #WeTeachSPED calendar was being put together and I needed a topic I knew this was perfect. I am sure by now you know I have a love for interactive books and interactive pieces. 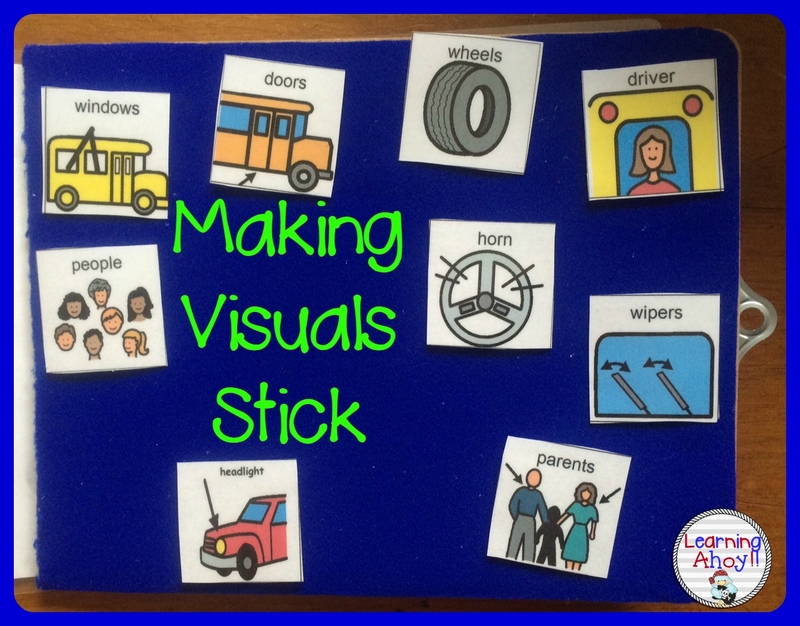 This also includes the various visuals I use in my classroom through out the day. I end up having pieces all over the place and trying to juggle them is ridiculous! In came a clipboard and Veltex fabric. This has been almost magical to me. Veltex is like the soft side of Velcro. 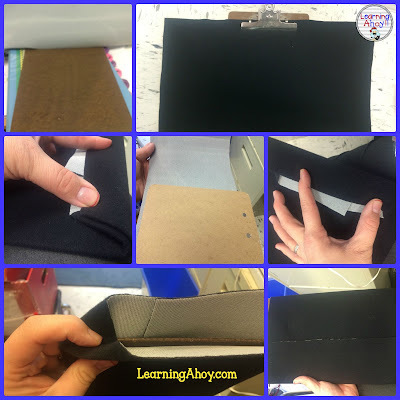 The hard side of Velcro sticks to it, so all of those interactive pieces and communication cards etc stick to it. I have a board with veltex on it to keep choices on through out the day, but I was trying to figure out how to coordinate this all in a smaller in manner. A few days later someone had left some old clipboards in the teacher lounge for giveaways. 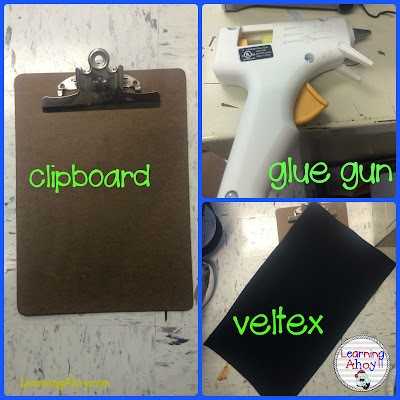 I pulled out the glue gun(although next time I think I may use spray adhesive) and got to work I wrapped the Veltex around the clipboard like a present so that both sides were covered. I did a lot of folding and gluing. Having both sides allows me to only put the pieces I want visible to the students out and not have to juggle the rest. If you need to buy veltex, I found a few different websites by searching on google and all seemed to be the same price. We now use the clipboards during opening circle to display song pieces or to hold the pieces for an interactive book. The students then can pull off the piece they want with out having to get up (Although when they need the movement, then I can have them get up just by moving the board back). The paraprofessionals I work with will also take the little boards with them to easily present choices to our non verbal kiddos.